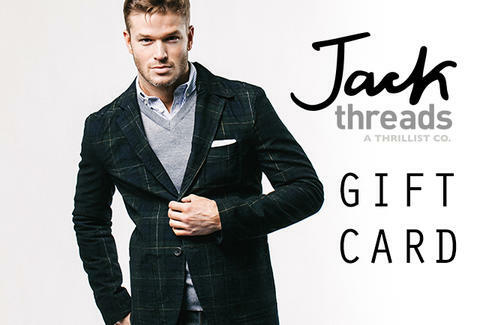 JACKED DEALS AT JACKTHREADS Thrillist has partnered up with Outlook.com to take some already staggering Rewards to the next level: Thrillist-curated swag, exclusively upgraded for people with Outlook.com addresses. For a particularly stylish example, get $50 at JackThreads for only $25, and Outlook.com will activate a supercharged enhancement: $100 for $25. So fresh, so clean. GO ON... Below, you'll find a sampler platter of similarly awesome deals, all handpicked by Thrillist and made doubly awesome by Outlook.com. The level-ups are exclusively for people with Outlook.com addresses (but it couldn't be easier to sign up and give it a try).